I know how loaded these words are, but ... we need to talk. You and I have been together for a while now, and I’ll readily admit it was more out of laziness than genuine affection. I was lonely, you were available, it was the twenty-first century. These things happen. I’ll also confess that I wasn’t as forthcoming with you as I could have been. You asked about my religious and political beliefs. I appreciated the curiosity while wondering how genuine it was. I decided to play it cool, keep it light. I summarized my spiritual values in one sentence – The designated hitter is a sin – and gave my political affiliation as National League, meaning baseball’s senior circuit. I’m such a card. Truth be told, I have no interest in hearing about politics whenever we get together with our mutual friends, and that’s why I came over all coy. You manage to reduce politics – and pretty much every subject – to the level of NASCAR flash, a series of ostensibly clever images that repurpose statistics and pop culture iconography into visual white noise. During election season I stopped swinging by entirely. If we’re being brutally honest here, I also hate the cute cat pictures. All the cute animal photos, actually. And I don’t think George Takei’s stuff is funny. There, I said it. I still visited on a regular basis, but it became a one-way street. Things got ... distant. That’s on both of us. Yesterday I dropped in. I checked out my page to see what you’d done to the place. And that’s when I realized that you hadn’t gotten one of my little jokes at all. You see, you’d taken it upon yourself to link my page to the Wikipedia entry on the Irish National League, the home rule political party founded by Charles Stewart Parnell in 1882. Not, as I intended, to the aforementioned senior circuit in Major League Baseball. I know you didn’t mean it. I know it wasn’t you, but some algorithm you went out and got, probably on an anniversary that I callously forgot, to make things nicer. I’m laying all the cards on the table here, Facebook. I am bitterly disappointed with you. Prospective employers have been known to check with you before making hiring decisions; crazy, I know, but such is the age we live in. And in your effort to be helpful, to paint what you erroneously believe to be the most thorough picture of me, you get me all wrong. You depict me as someone carrying a grudge about events that transpired generations ago. And you did this without asking me. Strangely, I don’t care if prospective employers go to my Facebook page and see the content I post there, the vast majority of which is about cocktail consumption. Because I chose to put that information there. Because that represents, for good or ill, an accurate depiction of my character. You turned a joke into a political statement, one that I never intended to make. And you did it without my consent. I’ll continue to come around, more out of habit that genuine interest. But I’ll be very careful about what I say from now on, and I certainly won’t be taking any of your suggestions about which businesses to patronize. If you keep acting all Skynet on me, I may not share anything with you anymore. Step #1: Buy a welding mask. OK, that may be taking precautionary measures to an extreme. But the first time I ever tried a Diamondback it was made with Rittenhouse rye (100 proof), Laird’s Bonded Apple Brandy (100 proof) and green chartreuse (110 proof). You do the math. To quote noted expert Dr. Julius Hibbert, by all medical logic steam should have been shooting out of my ears. But it’s not the potency that draws me back, it’s the complexity. The Diamondback has many levels. Even its nuances have nuances. Given the drink’s undeniable sting, you would be well within your rights to assume that it was christened after the rattlesnake. You would be wrong. According to Ted Saucier’s Bottoms Up! (1951), its namesake is the Diamondback Lounge, late of the Lord Baltimore Hotel in, you guessed it, Baltimore. Saucier’s recipe also spawned the small degree of controversy around the Diamondback. Once again it’s time to ask the musical question: Which chartreuse do you choose? Saucier called for yellow. Order the cocktail now and it’s virtually certain you’ll be served one with green. In preparing for this post I made one with each, because my commitment to research and my love for each of you knows no bounds. Yellow chartreuse’s herbaceous sweetness dominates; in some drinks that has its appeal, but here it overwhelms the rye, a particular shame with one as sweet and spicy as Rittenhouse. As for the green, the color means go for a reason. It conducts its business with ruthless efficiency, content to let the whiskey lead. While the original ratio of 2:1:1 is still preferred, a number of bartenders including Jim Meehan of New York’s PDT opt for a more spirit forward version, with a full two ounces of rye and a half ounce of the other two elements. Use that formula and green chartreuse is the only choice. My preference is Saucier’s classic recipe with the more potent liqueur. Be sure to lift your welding mask before sampling. Frank Langella wrote one of the odder, more compelling books I read in 2012. He also starred in one of the year’s more underrated movies. Frank (the character, not the actor) lives alone in bucolic upstate New York, which makes his estrangement from his family and his escalating dementia worse. His son does what he can by buying the old man the latest in near-future amenities: an automated home health care aide (voiced by Peter Sarsgaard). Frank initially resists and resents this chipper microchipped interloper with its insistence on regular schedules and hobbies. But once he sees the robot in action, he decides to return to his old profession – cat burglar – with a new partner. Thus stumbling into a legal gray area not covered by Asimov’s Three Laws of Robotics. 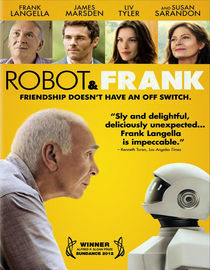 Don’t let Robot & Frank’s geniality fool you. Beneath its unruffled surface lie some tough-minded thoughts on aging and obsolescence, which are not at all the same thing. The entire cast is fine, especially Langella and Susan Sarandon as the flesh-and-blood librarian that Frank wants to take out more than any of the few remaining print books. With its gentle charm and matter of fact exploration of how advanced technology could be integrated into everyday life, the movie has the feel of a Ray Bradbury story. What’s in a name? That which we call a Pink Lady by any other name wouldn’t be that sweet at all, and would probably be ordered a lot more often. The best example of how the Pink Lady’s handle has doomed its fortunes comes in Ted Haigh’s Vintage Spirits & Forgotten Cocktails. Haigh calls the drink “The Secret Cocktail,” even filing it under S, so that potential imbibers won’t be prejudiced by its not exactly masculine title. Ironically, as Haigh and many others point out, the Pink Lady is virtually the same drink as the Clover Club. Both are made with gin, lemon juice and egg white (another potential problem area), both have a similar hue thanks to grenadine. The difference is the Pink Lady adds applejack, which not only lends dimension but kicks up the potency. Yet it’s the Clover Club that has made the comeback, turning up on Difford’s List of the top 100 cocktails while the Pink Lady is left out in the rain. Clearly rebranding is in order. The Pink Lady wouldn’t be facing this public shunning if it were called the Brute Force or the Unwashed Jock1. It was not always thus for our ruddy maiden. The Pink Lady has some history behind her. The name comes from the 1911 Broadway show that gave us the timeless classics “The Girl by the Saskatchewan” and “Donny Did, Donny Didn’t.” (To be fair, the play was quite popular – it had to be if it spawned a cocktail – and, though never revived, still has its admirers.) In Crosby Gaige’s 1941 Cocktail Guide and Ladies’ Companion, the Pink Lady is one of sixteen Hall of Fame drinks. But dark clouds are gathering. Ten years later, Jack Townsend in his Bartender’s Book would write of Clover Club drinkers who feared being confused with “that nice little girl who works in files, who’s always so courteous but always seems so timid” and who orders a Pink Lady on the rare occasions that she dares venture into a bar thinking “Hmmm, that couldn’t do me any harm.” This in spite of the fact that, as Townsend readily admits, “the Lady packs quite a wallop.” The die was cast. The drink became a punchline. No need to go to such lengths. The sparer the preparation, the better; I don’t even bother with simple syrup, although some bartenders do. There’s nothing cloying or demure about the Pink Lady. The drink is dry, surprisingly tart, and strong. If anyone asks what you’re having, announce the name with pride. Then hum “A Boy Named Sue” while they plan their next move. Shake the ingredients without ice, then with. Strain. No garnish. 1 Potential drink names trademarked by Vince Keenan, 2013. Catch me under the right circumstances – a drink in my hand, say, another already coursing through my system – and I will tell you how finding a bar I could call my own changed my life. I could say that the discovery of this watering hole in fact saved my life, but that would be melodramatic and slightly inaccurate. It would be more honest to describe the experience as the opposite of a phantom limb; I never realized that I was incomplete until I walked into my home away from home and unearthed a wholly unknown part of myself, ready to be put to use. 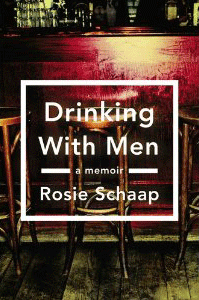 That firsthand sense of what a “third place,” in the words of sociologist Ray Oldenburg, can mean is why Drinking With Men, the powerful new memoir by Rosie Schaap, hit me with such force. But anyone who appreciates writing as sharp, clean and cutting as a scalpel will find much to take away from her book. Every bar represents a personal milestone, often defined by trauma. Death haunts the book, sometimes in the family from which she is estranged, sometimes in the surrogate one forged before last call. What she orders and what she asks for may change, but Schaap, currently the drink columnist for the New York Times Magazine, is exquisitely attuned to the regular’s “unwritten but powerful code of honor. Be good to the people serving you drinks; be open to your fellow patrons, no matter how different they are from you. Gently mind the people you bring with you, but have authority. Have fun, but not at the expense of anyone else’s fun. A bar is never yours alone.” Throughout, she’s acutely aware of her status as pretty much the only woman who’s just one of the guys. She’s also forthright about how she can often be her own worst enemy, creating or complicating her problems. But there’s always a place she can go to find a ready ear or whatever else she might need. Faithful attendance at a bar creates connections and interests that might not otherwise exist. Schaap is very funny about how one local triggered a lifelong interest in European soccer. (Schaap, who is also, be still my heart, a fellow New York Mets fan, has this to say about Manchester United: “I hardly saw the point in despising them, much less in supporting them. What fun is a team that wins all the time? Where is the dramatic tension, the possibility of being surprised by joy once in a while amidst all the heartache? It seemed far too much like being a Yankees fan, an altogether weak and unimaginative proposition.”) For all the hassles that come with bar life, Schaap returns to it again and again. Why? “Because if you can talk, and if you can listen, and if it is easy and pleasurable to talk and listen to anyone, because you’re happy to discuss anything, really, and to hear stories about anything, because you know that people are endlessly interesting and you know that they all have stories, and because liquor loosens tongues and you are paying attention and taking people seriously, you might just stand to learn something.” One thing Schaap quite reasonably wants to learn is why more women don’t join her on a journey that can begin down at the corner bar. It’s always a difficult moment, when a devoted student realizes he disagrees with a favorite teacher. I gaze at such a Rubicon today. Its waters are not placid, friends. They roil with bubbles. Hoo. I’m going to need a minute here. This would be the time to point out that in his infinite wisdom Mr. Embury allowed for differences of opinion; he regularly encouraged readers to “roll your own.” This might also be the time to acknowledge that I am perhaps not a true champagne lover. Given the choice between straight champers and a French 75 I will almost always opt for the latter. And maybe opinions have changed since Embury first published his book in 1948. What about a contemporary cocktail guru I regularly refer to like, say, the Washington Post’s Jason Wilson? Where does he come down on this particular drink? OK, I may be in over my head here. While the Champagne Cocktail might not exactly have an amen corner, it possesses something better: longevity. Any cocktail that can trace its existence back to the 1850s clearly has its ardent admirers. A recipe appears in Jerry Thomas’ The Bar-Tender’s Guide (1862). Thomas disciple David Wondrich calls it “the first evolved cocktail on record.” Its target demographic can certainly be pinpointed; it was nicknamed “chorus girl’s milk,” and a cocktail guide/ladies’ companion published in the 1940s offered multiple variations with names like She Couldn’t Say No and Her Sarong Slipped. The drink itself could not be simpler. Take a sugar cube, soak it in bitters, cover it with champagne. An early modification calls for the addition of a small amount of brandy, specifically cognac, and it’s this variety that has won me over. (While most recipes specify Angostura bitters, Wondrich suggests using Peychaud’s if adding cognac.) To begin with, it is a beautiful drink to look at, the champagne’s bubbles effortlessly dismantling the sugar cube and carrying the taste throughout the glass. And bitters and cognac always work in combination, even with carbonation. So I’m not in the minority after all. Thus proving a larger point: when forced to choose sides, always go where the chorus girls are. Pour champagne into flute. Add cognac. Soak the sugar cube in bitters and drop into the glass. Garnish with a lemon twist. 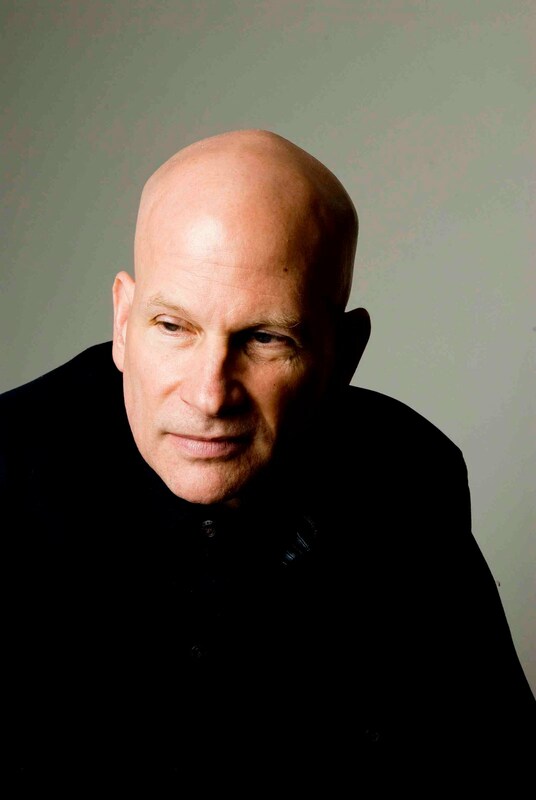 My friend David Corbett is a writer of marvelous crime fiction; see my review of his most recent novel, Do They Know I’m Running? David’s latest book is something different. 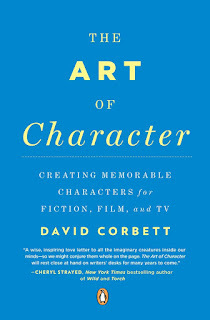 The Art of Character draws on his experience as a writing teacher and focuses explicitly on characterization. Read excerpts of the book at Zyzzyva and Narrative Magazine – but after you read this VKDCQ&A. Q. What can you tell us about THE ART OF CHARACTER? Gee, thanks for narrowing it down. Short answer: Too much. It’s a book that grew out of my teaching and my own writing in answer to a need I felt. Everything’s ramped up these days, the speed of life never seems to decelerate, people’s attention span is nil, and this is reflected in our stories. Pacing is more important than ever, plot is king, “high concept” (the greatest misnomer in lit) still commands the biggest paydays, and I just felt this need to stop, take a deep breath, and say: What’s missing? And what’s missing is character. When you emphasize story and plot as heavily as we do now, characters can easily gravitate to roles at best, tropes or stereotypes at worst – Always Second Best, Captain Oblivious, Evil Jesuit – and this creates characters based on ideas, not people. To get to the level of awareness and imagination where you can create the kinds of characters a reader or audience never forgets, you have to take time. The process of creation and discovery, the back and forth between letting the imagination run free then bending it to your will – this all takes a quieter, more patient – more loving for lack of a better word – mindset. 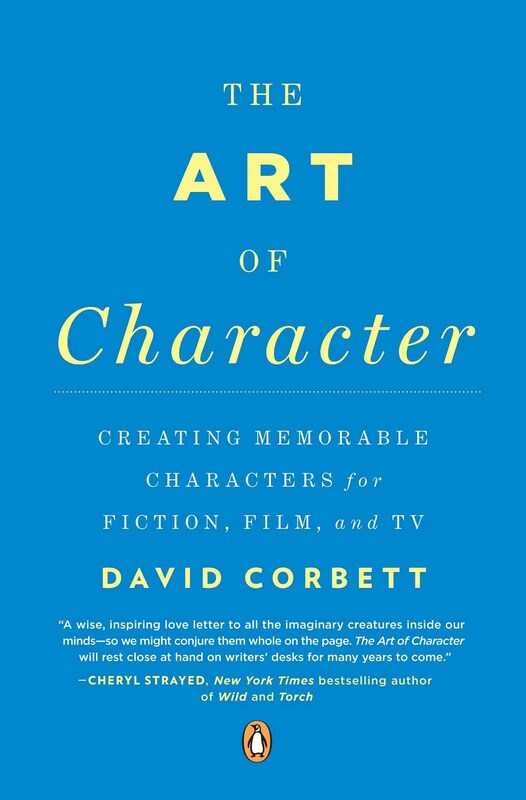 I wrote The Art of Character to begin a dialog on getting back to a more patient, human brand of storytelling. Q. Quoting from the book, on writing: “This is not a science. It’s barely a craft.” That being the case, how do you even begin writing a how-to? The most crucial aspect of characterization will always take place within each writer’s imagination and heart. I tried very hard to elevate the style and tone of this book so that readers would never think they were reading a manual. I can only point you in the right direction, I can’t lead you there. But pointing you in the right direction is no small thing. The difference between a novice writer and a more experienced one lies in the knowledge of what questions to ask. The Art of Character is basically an encyclopedia of probing questions, with examples of excellent answers provided by great writers. Plus a few decent tips, pithy anecdotes, and jokes. Q. You’ve said you were motivated to write the book in part because so many writing texts focus on structure as opposed to character. Are there additional demands in balancing structure and character in genre fiction? The irony is that structure serves to illuminate character. The two are inextricably linked. But if you start with structure, you can often see character solely in its role as serving the demands of plot, premise, theme, and so on. This again steers you toward characters as ideas, not people. Since genre fiction is so story-centric, the problem gets amplified there. It’s not just world-weary cops, politicians on the take, and hookers with a heart of gold that are clichés. It’s hard to envision new characters in a well-worn format. But that’s the job – especially in genre writing. The pursuit of romance or justice is pretty much the same as it always has been. The great writers find a way to bring someone new, someone we’ve never seen before, into that arena, and convince us they belong. Q. The book’s subtitle is Creating Memorable Characters for Fiction, Film and TV. You regularly use films like CHINATOWN and MICHAEL CLAYTON in your teaching. How big an influence has film been on your work? But for some of the same reasons I cited earlier, I think that the demands of TV and film writing – especially tight deadlines and the need to please very broad audiences – make deep character work particularly hard. And so it gets fobbed off on the actors. Instead, from the writers you get – at the risk of repeating myself – Always Second Best, Captain Oblivious, and Evil Jesuit (which are the names of character types taken from the website TV Tropes). I’m modestly hoping to swing the conversation back a little toward character. To do that, you have to show that great characters have created some of the greatest stories – if not all the greatest stories. Chinatown and Michael Clayton being two good examples. Q. What effect has this golden age in long-form television had on characterization? Has it made anti-heroes more palatable? Are there dangers of formula there, too? Long-form television has in many ways replaced the novel as a narrative medium, which is good for character (bad for all but a few novelists). Characters are allowed to be more complex, more open-ended, less rigidly defined by role. And yeah, that’s a boon for anti-heroes. Wherever you have tight deadlines, a broad fan base, and a lot of money on the line, you’re going to have the risk of formula. The great lie of capitalism is that people with money are risk takers. Money abhors risk. Adam Smith said that. He just forgot to write it down. Q. What can we expect next from you? Well, my whole fiction backlist has been prettied up and reissued by Open Road Media and Mysterious Press, with a brand new story collection titled Killing Yourself to Survive. You can check out the books by following the links. I’m also working on a new novel I’ve almost finished and intend to complete as soon as all the rest of this brouhaha settles down. Jazz Q. You were lucky enough to attend the inaugural concert at the San Francisco Jazz Center last month. Highlights? Oh geez, there were dozens. But the two that stand out for me were, first, a duet between Esperanza Spalding (bass and vocals) and Eric Harland (drums) that was unlike anything I’ve ever seen or heard. It reminded you that jazz is a great art form because it’s based on the players listening to each other, giving to each other, not sticking to a chart. And second, Joe Lovano and Joshua Redman played a post-bop sax duet that was just stinging hot – it growled and got angry and cried like a baby. Or maybe that was me. Baseball Q. You live in the Bay Area and root for the San Francisco Giants. Any strong feelings about the Oakland A’s? I was happy to see them make the playoffs, but I’ve got to admit they were largely off my radar until late August. Embarrassment of riches, being a sports fan in the Bay Area. Almost makes up for the Raiders. Movie Q. 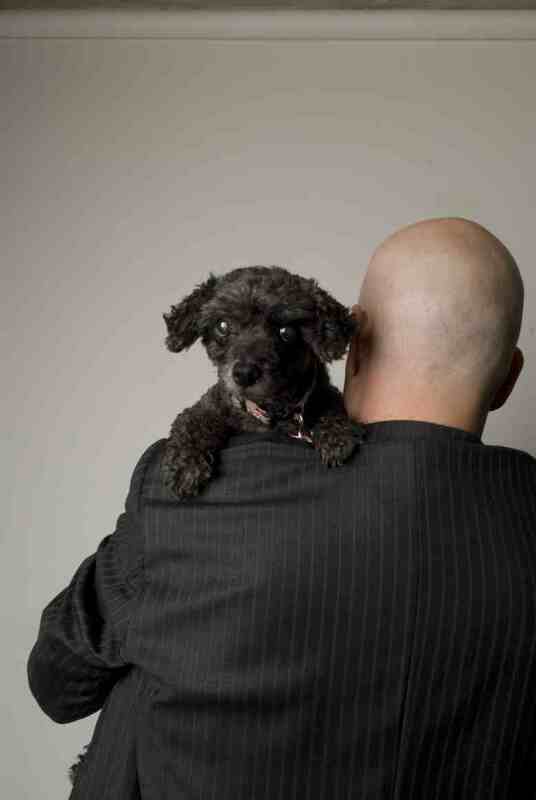 You spent many years working as a private investigator. What movie offers the most accurate depiction of that profession? That’s much easier to answer for TV, actually. The Rockford Files was pretty decent, but Terriers stole my black little heart. At the risk of repetition, Chinatown and Michael Clayton (he’s a lawyer, but his job isn’t far from a PI’s) are both pretty good. (As Jake points out to Evelyn Mulwray, most days aren’t as rough as the ones she’s around for.) The Conversation is based on Hal Lipset, who was the granddaddy of San Francisco PIs, and it has that frisson of authenticity. But the most accurate portrayal of a PI in film or TV was Paul Drake on Perry Mason. Hands down. He was a little thick, but I recognized his job. Cocktail Q. You’re in a well-stocked bar. What do you order? Three ounces El Jimador tequila reposado, one ounce Cointreau, one ounce each of Meyer lemon juice and guanabana nectar, shaken not blended, salt on request. It’s how we do our margaritas at Casa de Corbett.